Offering comfort and confidence in and out of the water, the Aqua Sphere Muriel ladies swimsuit has a tankini-inspired design and ensures a supportive fit thanks to shelf bra bust control. The swimming costume features a medium-high leg for unrestricted movement and perfect amount of coverage and boasts special Body Control System and a tummy panel for a slimming effect. It is chlorine-resistant and has been manufactured from VITA fabric with LYCRA® XTRA Life™ for enhanced durability and great elasticity. 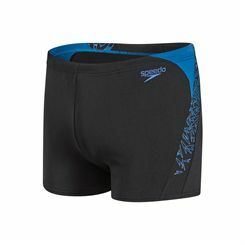 The Speedo Solid Leisure 16" Watershort features quick dry fabric, pocket drainage system and inner mesh brief lining for a functional and comfortable fit. 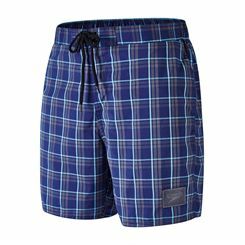 Whether you're headed to the beach or the pool these are the ideal shorts for the understated man. 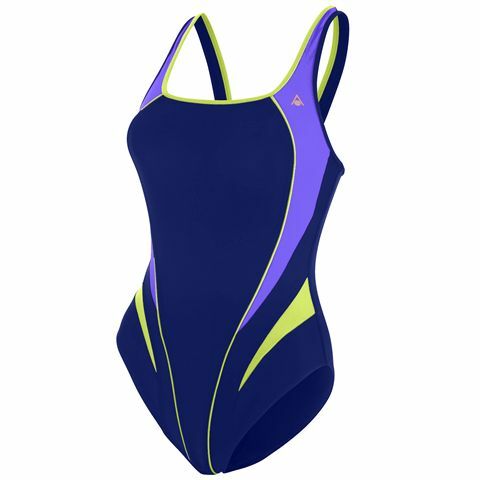 The Aqua Sphere Elena is a lovely, sporty girls swimsuit perfect for training and swimming lessons and features an open back ensuring ease of movement in the water. This lightweight, fashionable one-piece swimsuit offers a comfortable fit and great elasticity and has been produced from AquaFirst fabric for increased chlorine-resistance. Plus, it has a universally flattering design and a medium leg height for the right amount of coverage. The Zoggs Ballina Nix mens jammer ensures excellent freedom of movement and can last up to 600 pool hours. This top quality jammer is 100% chlorine and UV resistant and is manufactured from Aqualast for extra durability. It comes in a black colour and features a small Zoggs logo on the right leg. 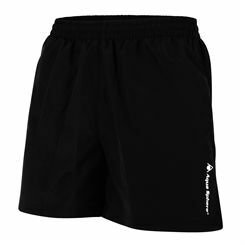 The jammer is made from quick drying material and provides a close and comfortable fit. Whilst the Romans used to bathe in their birthday suits, nowadays swimwear is mandatory and has come a long way since its arrival a few centuries ago. From heavy materials and ungainly designs intended mostly for modesty to high-performance, streamlined fabrics, special technologies and sport-specific models, there’s little that relates modern swimwear to that of the Victorian era beyond the basic functions. Swimwear is essential swimming equipment and there are lots of different styles – swimming shorts, trunks, costumes, suits and more – which all serve slightly different purposes. So let’s have a look into the world of swimwear, explaining these different designs and touching on other aspects of swimwear worth keeping in mind when browsing and buying swimming gear. Swimming requires minimal equipment to participate – swimming goggles and caps are highly recommended but only swimwear is absolutely obligatory. The swimwear you or your child will need depends on the intended water activities. For holidays, fun at the swimming pool and beach or casual water play, swimming shorts, aquashorts or trunks for boys and men, and costumes or swimsuits for girls and women are the order of the day. For younger kids and infants, other options include water nappies or one-piece suits, designed to protect young ones and keep them comfortable in the water. 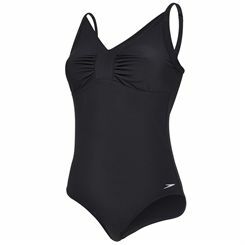 A variety of other casual swimwear designs exists too, such as more relaxed fit swimsuits for women, with bust support, open or covered backs and other features that aim to sculpt, support and enhance the body. Such costumes are great for both in and out of the pool, swimming or sunbathing. 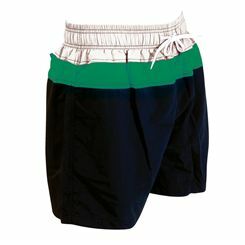 Looser shorts for men are highly popular as they are comfy and can be worn outdoors and not just in the water. Swimming costumes with thinner shoulder straps or open backs offer greater freedom of movement to women when in the water. Some swimwear materials will have characteristics such as better shape retention, chlorine resistance, SPF sun protection and be quick drying. These often distinguish higher priced swimwear from lower priced items, so it’s worth thinking about your needs and keeping such things in mind when browsing. For more exercise-orientated swimming activities there are also a number of options for swimmers. 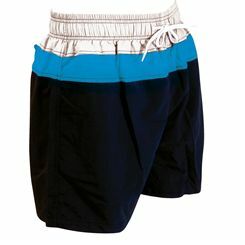 Performance swimwear for training and racing includes trunks, jammers (tight shorts), swimsuits and legsuits (a swimsuit that covers part of the legs), all of which have the aim of making you as streamlined and efficient as possible in the water, whilst covering varying amounts of your body. In order to reduce drag, these swimsuits use advanced materials and technologies engineered for higher levels of performance. No matter what your planned water activities are, be it family holidays in the sun, casual outdoor time in the garden or at the beach, kids swimming lessons, training sessions for adolescents or adults or even race events, you’ll find swimwear to suit your needs right here at Sweatband.com! We stock a full range of swimwear from top brands such as Speedo, Zoggs, Aqua Sphere and others, and offer very competitive pricing across our range. You’ll also get free UK delivery on orders over £15, on a quick and efficient delivery service. To begin your shopping for swimsuits, head up this page and you’ll be able to filter results by brand or type, such as boy’s, men’s, girls’ and ladies’, and then size.